The national carrier of Eritrea, Eritrean Airlines has now resumed its flights to Dubai International Airport following the re-launch of its international operations on 16th July. 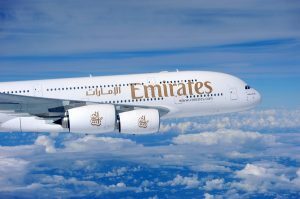 Eritrean Airlines will operate 4 weekly flights to Dubai, with flights arriving from the Eritrean Capital city of Asmara at 12.40 hrs and departing to Lahore, Pakistan at 13.40hrs. The inaugural flight to Dubai Airport arrived at 12.40hrs at Dubai International to a customary water salute and a reception ceremony at the concourse attended by representatives from the airline and the airport. Eritrean Airlines will initially operate schedule services with 11 weekly flights from the Eritrean Capital city of Asmara to Rome, Lahore, Jeddah, Khartoum, Cairo and Dubai. These flights will be operated on Airbus A-320 aircraft, with a 2 class configuration of 10 club class, and 126 in economy class. At present Eritrean Airlines’ fleet consists of 2 aircrafts, an A-320 and a Boeing 767.
please give me fare from DXB to KHI…Eriteria Airlines..and also provide me where i book my ticket..